“We steak our reputation you will love living at ______.” Put out bottles of barbeque sauce and a gift certificate to a local steakhouse. “We go to bat for you!” “Lay out in the sun and enjoy living here @ _____.” Kid’s pool, snorkel, floaties, sunscreen, flippers and goggles. Deck Party: “Join us here at _____ where every day is easy living.” Citronella candles, little cooler with drinks inside, plastic chairs, plastic tables, inexpensive potted flowers. “Celebrate Your Independence at _____.” American flag, red, white and blue colors, sparklers, cotton candy. Fourth of July Picnic: “Everything is a picnic @ ________.” Red, white and blue chairs, picnic basket, stuff red, white and blue napkins in plastic glasses, red & white checked tablecloth. “Life’s a Picnic At ____.” Blanket, basket, plastic silverware and plates. Or, bottle of wine/wine bucket, picnic basket, plates & utensils, bouquet of flowers, blanket, candles. “Relax and enjoy life at _____.” Picnic basket with goodies/crackers, blanket, plastic fruit, sun-tea jar or tea mix, cute glasses. Baseball: “_______ cheers for our home team.” Baseball cap, four game tickets, shirts, coolers. 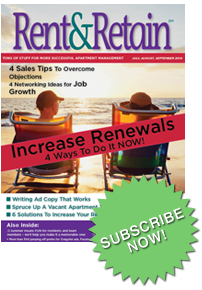 Mindy Williams is president of Rent & Retain Magazine which has improved the marketing and retention strategies for thousands of management professionals in all 50 states and Canada. 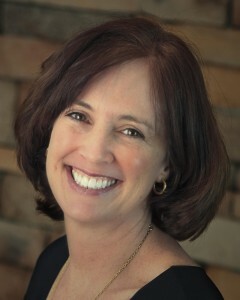 Mindy is an approved instructor for the California Department of Real Estate and trains thousands of management professionals each year during seminars for apartment associations, including IREM and ARM chapters and private management companies. Mindy has also published more books than anyone else in the property management industry. See them all in our "Books section!" Sales Tip: Ditching Don Draper – Writing Ad Copy that Works!